By insulating your attic with spray foam insulation you can reduce your heating bills by up to 50%. 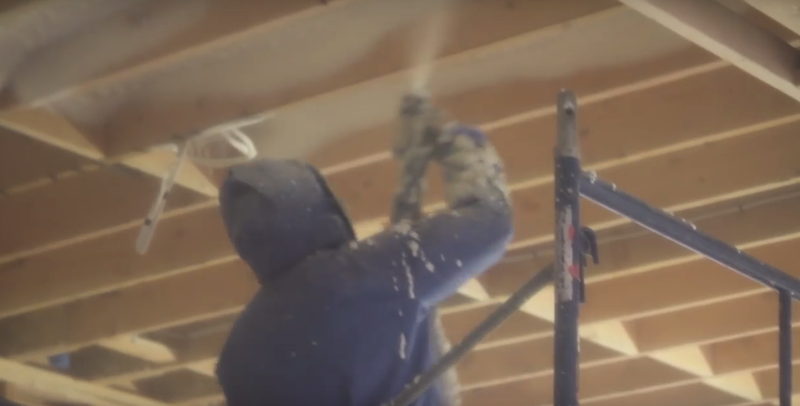 Spray foam insulation means that after it has been applied it does not pose any health and safety risk making it an ideal insulation material for attic conversions in your home or business. There are 2 types of spray foam insulation, open cell and closed cell. Open cell foam is used in all domestic or residential applications, closed cell foam is used in industrial or commercial applications. We use cell spray foam insulation. The foam has been tested by the National Standards Association of Ireland (NSAI) and has received its coveted Agrément Certification in Cork. The NSAI has conducted rigorous test to make sure the foam performs to the manufactures specification and is thoroughly tested in Irish weather conditions. The reasoning behind this rule is to allow your roof timbers to ‘breathe’. The escaping water vapour need to find access to the outside air without impediment so a 50mm air gap is required between roofing felt and insulation material.